Easy to use. No special training to operate is needed. It’s reliable, fast and extremely accurate. An economical way for wine and juice analysis. 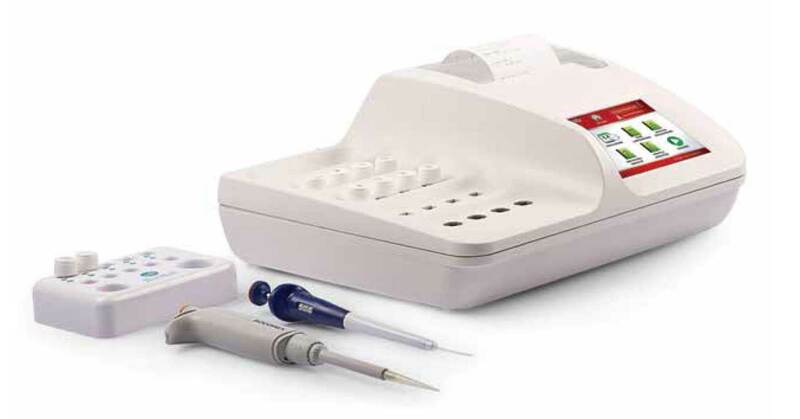 One variable volume pipette from 0 to 25 microliters. One fixed volume 50 microliter pipette. Spare printer paper roll, 100 pipette tips.